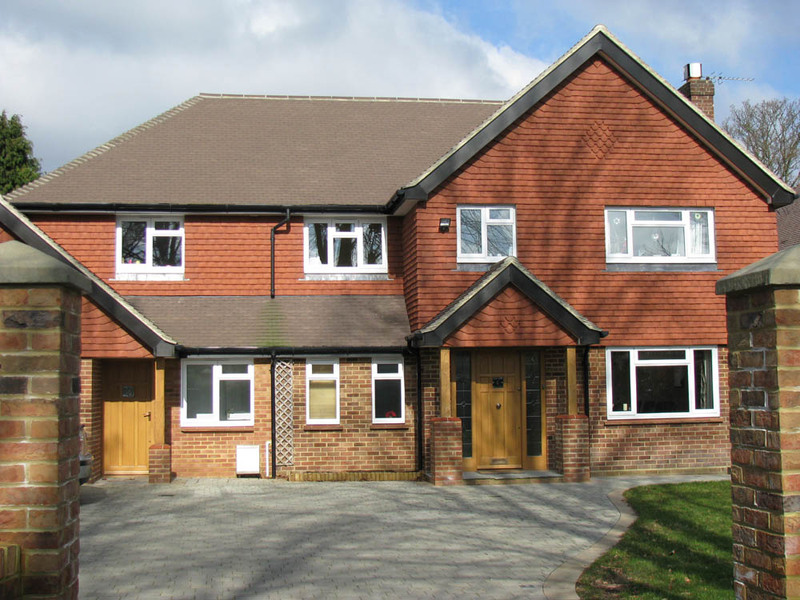 The front elevation of this property was totally changed creating depth , colour and contrasting materials. 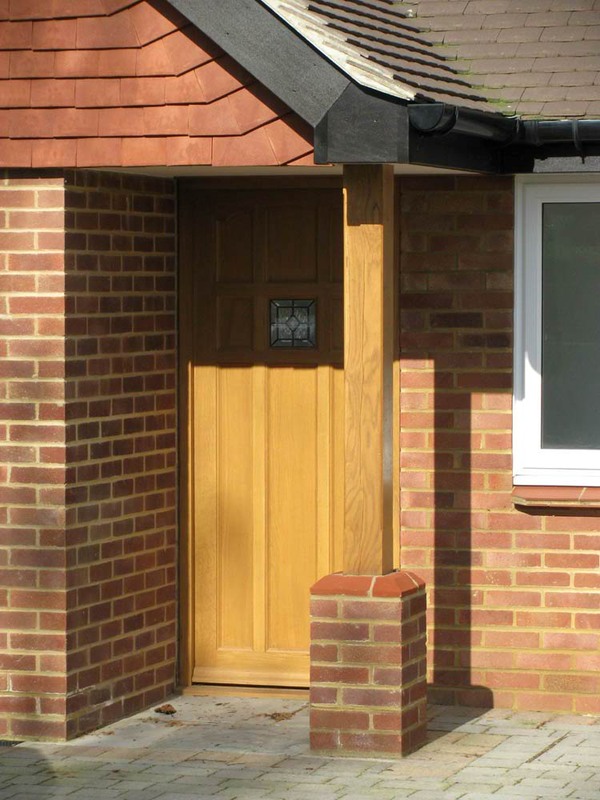 Works included creating gable ends , new tiles to pitched roof's , new tile hanging , porch constructed from Green Oak , new front doors and frames also in Oak . 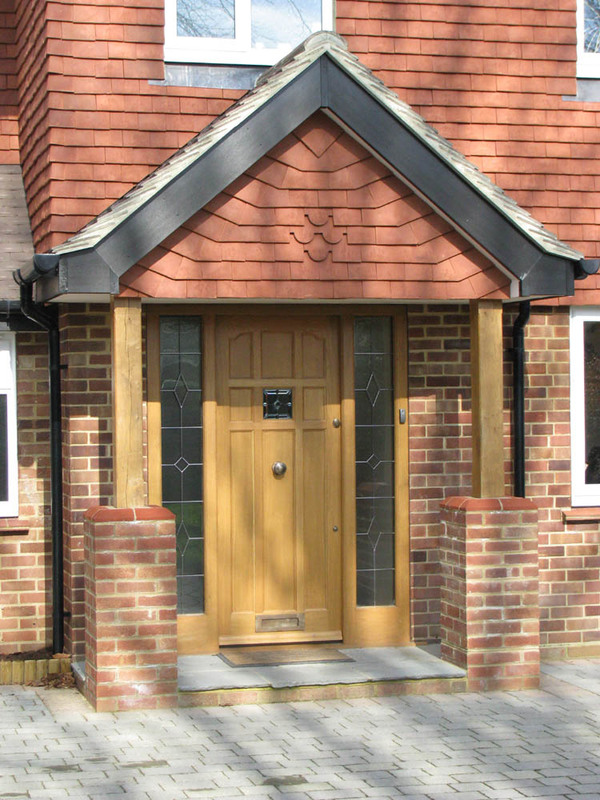 All fascia , soffit and bargeboards are PVCu ( plastic ). 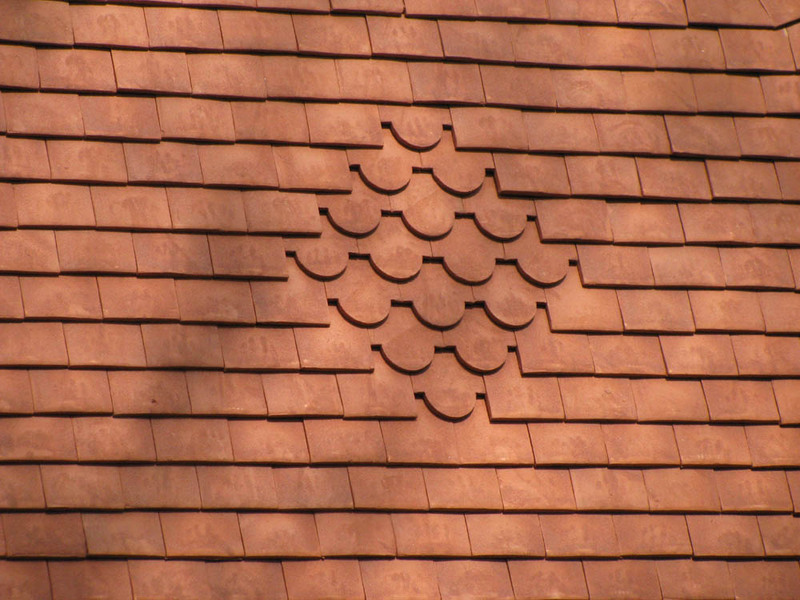 Some detail of the tile hanging is shown below.